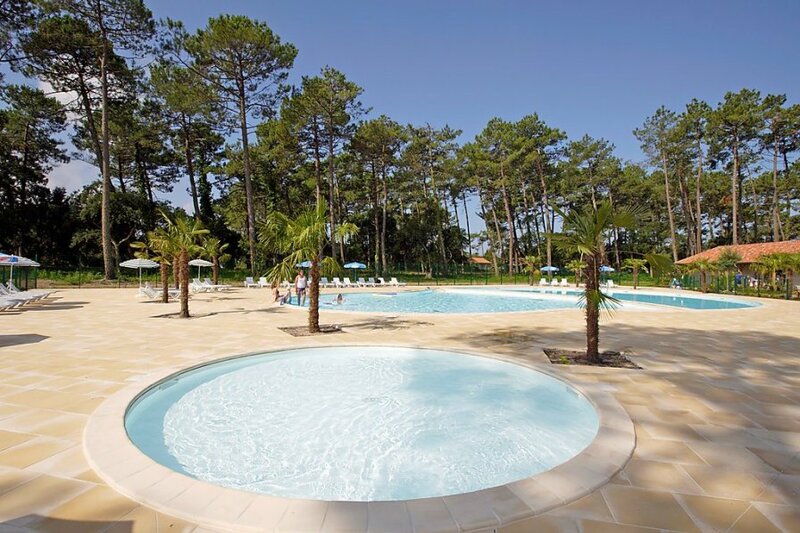 This 1 bedroom apartment with swimming pool is located in Ondres and sleeps 4 people. It has WiFi, a garden and parking nearby. The apartment is within walking distance of a beach. Ondres Plage 15 km from hossegor: Residence "l'Allee des Dunes"
The agent describes this apartment as a family friendly holiday rental ideal for the summer holidays. It is also good value for money. The apartment has a swimming pool and is located in Ondres. The nearest airport is only 21km away. It is set in a very convenient location, just 900 metres away from a beach and only 1km away from the city center. The apartment has free wireless internet. You can also park on-site at no extra charge. The apartment is well equipped: it has a dishwasher, a microwave and a washing machine. It also has a garden and a tennis court. There is a golf course nearby. The apartment is suitable for activity holidays during the summer as well as family holidays in the winter and summer.